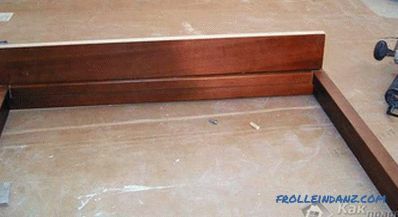 When installing doorframes, it is often necessary to close the rest of the slope with something. Most often for these purposes are used "dobory", which can be purchased together with door leafs and platbands. However, in most cases, such additional elements require adjustment, since the attachment to the box should be as tight as possible, and always strictly according to the size of the visible part of the slope. In the first case, the additional element is inserted into the slot of the box with one (long) side, while its second side is not attached. In the second version, the attachment will need to be fixed to the slope, without fixing to the door frame. 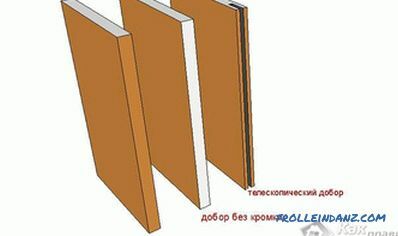 Dobora are bars made of laminated MDF. The color of these elements usually coincides with the color of the door frame and door trim. But if you wish, you can always purchase additional colors, if this option is more suited to the design of your room. Do not forget that the holes close the slopes from three sides - from above and from two sides. 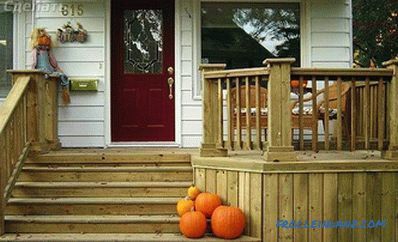 In this case, it is desirable that the upper door should be longer than the width of the door, and the vertical doors should rest on it at a right angle. 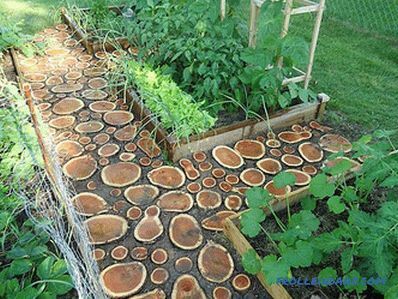 The diverse width of the holes makes it possible to select them for slopes of almost any width. The main thing is that the additional element is not already what is needed. If you can’t select the exact fit, you can trim it. To do this, it is recommended to contact the furniture workshops, as, in addition, you should also order a sticker of the edge tape for one or two ends of finishing. Install and secure the door frame in the opening. You can even hang the door - it will not affect the installation dobor. Trim the holes up to the required size. Measure the distance from the outer edge of the wall (from the side of the slope) to the door frame in at least three places. 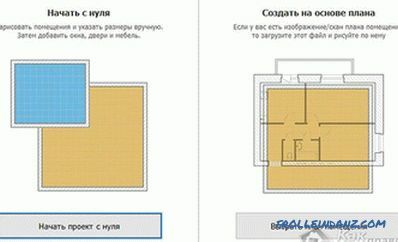 If these distances do not coincide, then dobor will have to be cut in the furniture workshop. At the end of the dobor, to which the casing will be attached, it is also necessary to glue the edge tape. Insert the holes into the grooves of the door frame: first the upper horizontal, then the side vertical ones. 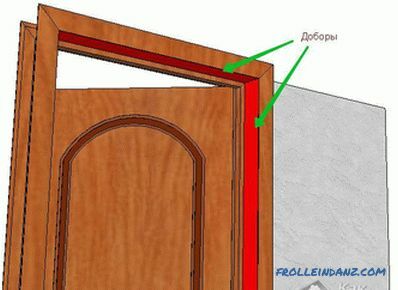 Dobory should be located strictly at an angle of 90 degrees to the plane of the door frame. Check for their horizontal and vertical position. 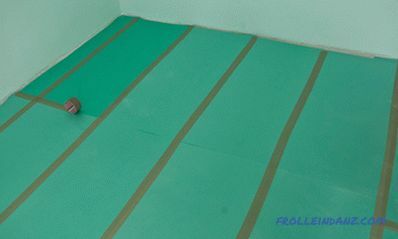 Glue the masking tape in 4-5 places along the length of the patch so that it can be fixed in the correct position. Fill the space between the wall and the wall with foam. Wait until the foam hardens, cut off any excess excess. After installation door in the doorway, it is necessary to measure the remaining uncovered part of the wall (slopes). If the holes have to be cut along the long side, then it is better to do it also in the furniture workshop. 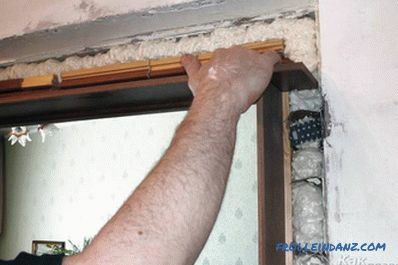 In the same place, order the edge banding tape from the two ends of the panels (both from the side adjacent to the door frame and from the frames). 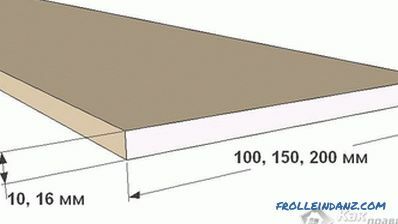 If the slopes are not plastered, then attach the attachment as follows: take a wooden plank or a small timber and attach it to the slopes so that the attachment can be fixed on top of this plank, and its verticality (horizontal - for the upper dobor) and the right angle between it and the door frame. 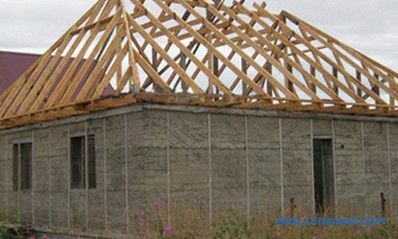 With even plastered slopes, you can do without an additional wooden plank, provided that there is no need to leave any space between the wall and the back wall. Attach the draw to the bar. Fill the remaining space between the wall and the wall with foam. To make the foam quicker, spray it with water. Cut off excess frothy foam. As you can see, the technology of fixing dobori allows to avoid such a tedious procedure as plastering slopes. Properly chosen additional element makes the slope smooth and beautiful, no matter how bad the slope looked before it. 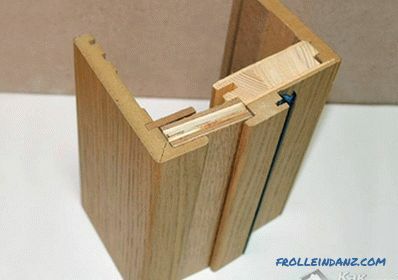 However, if the space between the wall and the wall exceeds 3–4 centimeters, it is better to fix the wall by using small wooden bars screwed to the wall. In those cases when you do not have the opportunity to use factory fittings, you can make their handmade "analog" of laminate or MDF panels. This solution will allow you to perform "diverging" slopes (located not at an angle of 90 degrees relative to the door frame).